Dimensions: 6 x 7-3/4 in. Includes: 16 writing sheets and envelopes (4 color designs repeating 4 times), plus stickers. Birds and bears! Porcupines and lions. 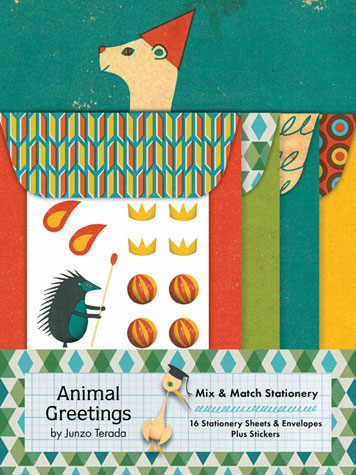 Mix and match these animal friends for completely distinctive correspondence.